More than a year after the Marjory Stoneman Douglas High School shooting, two young people have killed themselves. The community is now working overtime to offer support. People embrace at a memorial on the first anniversary of the shooting at Marjory Stoneman Douglas High School on Feb. 14, 2019, in Parkland, Florida. 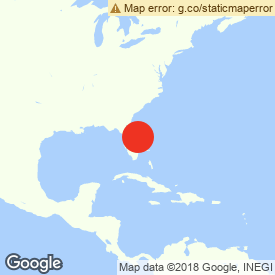 PARKLAND, Florida — Leading up to the one-year anniversary of the shooting at Marjory Stoneman Douglas High School last month on Feb. 14, Parkland was on high alert. The Broward 2-1-1 helpline, a free hotline for people in need of mental health services, increased its staff. In January, more than 30 local private therapists undertook training in reconsolidation of traumatic memories (RTM), a treatment that has proven effective for post-traumatic stress disorder. Professionals United for Parkland, a group of mental health professionals, held a Q&A session for parents to help support their kids through the anniversary. Alhadeff’s 14-year-old daughter Alyssa died in the massacre at Marjory Stoneman Douglas High School, one of 17 people killed that day. But a little over a month later, Sydney Aiello, who graduated from Stoneman Douglas in 2018, died by suicide. Her mother said she was struggling with survivor’s guilt and had been diagnosed with PTSD. 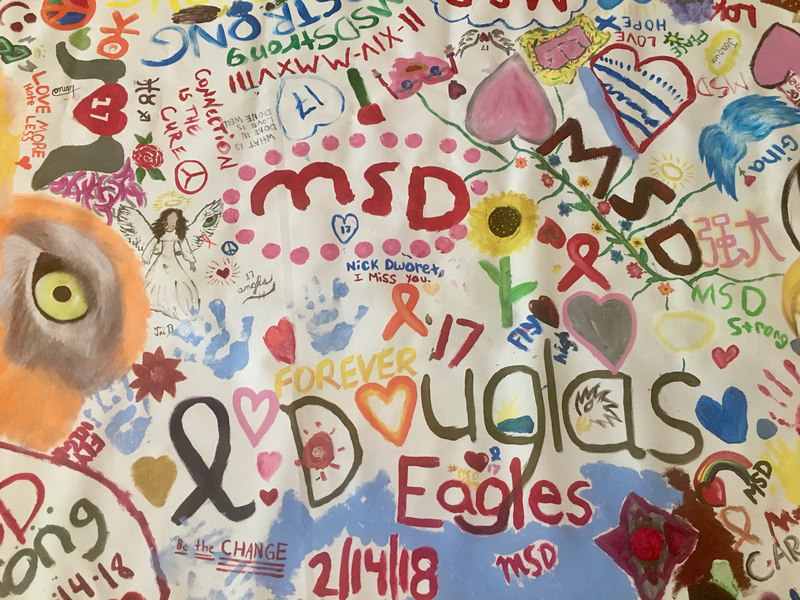 The day after her funeral on March 22, 16-year-old Calvin Desir, another Stoneman Douglas student, killed himself. His family has not spoken publicly and it is unclear if his death was related at all to the 2018 shooting. Experts caution against trying to find a single motivation for a person’s suicide and say the causes can often be complex. But the two suicides have shaken the Parkland community, which is now again in crisis mode. “Unfortunately, it took two deaths for people to wake up that this is real and this is happening and we need to stop this and prevent this." Students have been on spring break this week, but multiple public meetings on suicide prevention have been held across the community as officials respond to the deaths. A wellness center that was due to open in April instead moved up the launch and opened its doors Monday morning. The museum has been offering free art therapy all week. Another resiliency center, a therapy center run by the school district, has also been open all week despite the vacation. “Now we’re really starting to question: Have we done enough? Are we currently doing enough? Is my child OK? Do I need to see somebody as a parent?” said Joycy Ann Lacombe, a trauma-trained, licensed mental health counselor who treats members of the Stoneman Douglas community. “They’re all great questions we’re asking, and my hope is that there is follow-through and we take that extra step we maybe didn’t think we needed to before,” she added. Parkland is not the only community struggling this week with suicide after a mass shooting. On Monday, Jeremy Richman, whose 6-year-old daughter Avielle was killed in the 2012 Sandy Hook elementary school shooting, died of an apparent suicide in Connecticut. “The traumatic events of the past week in the Newtown and Parkland communities have shown the lasting, often forgotten lifelong impact of these traumatic events on survivors — parents, grandparents, siblings, communities,” read a statement from Sandy Hook Promise, a nonprofit founded by parents of children who died in the shooting. More than $14 million of state and local funding has been allocated to mental health services in Broward County since the Parkland shooting, but the Tampa Bay Times noted that very little funding has been earmarked in the state specifically for suicide prevention. A mental health and suicide prevention town hall meeting at Coral Springs City Hall on March 27. Since news broke of the two suicides, calls to 211 have increased and more people are accessing mental health services and programs, said Cindy Arenberg Seltzer, the CEO and president of the Children’s Services Council of Broward County, a government agency that funds children’s programs in the county. Parents have been encouraged to ask their children a series of questions, known as the Columbia Protocol, in order to establish if someone is at risk of suicide. The questions include whether the individual has had any thoughts of suicide or considered a plan of how they would do it. “I don’t want everyone to panic or worry that this is their kid, but I also don’t want people to be complacent." “This is a misperception that parents think if they ask that question they are somehow endangering their child and introducing this idea,” said Raquel Farrell-Kirk, an art therapist who has run weekly sessions for Stoneman Douglas students and teachers at the Coral Springs Museum of Art since the shooting. Farrell-Kirk spoke to BuzzFeed News during an “Art, Play, Love” session at the museum, which has been open all week with free admission. Light poured into the soothing art-filled rooms, with tables set up with board games and crafts in the middle of the gallery. One corner had comfy chairs with guitars and a ukulele. 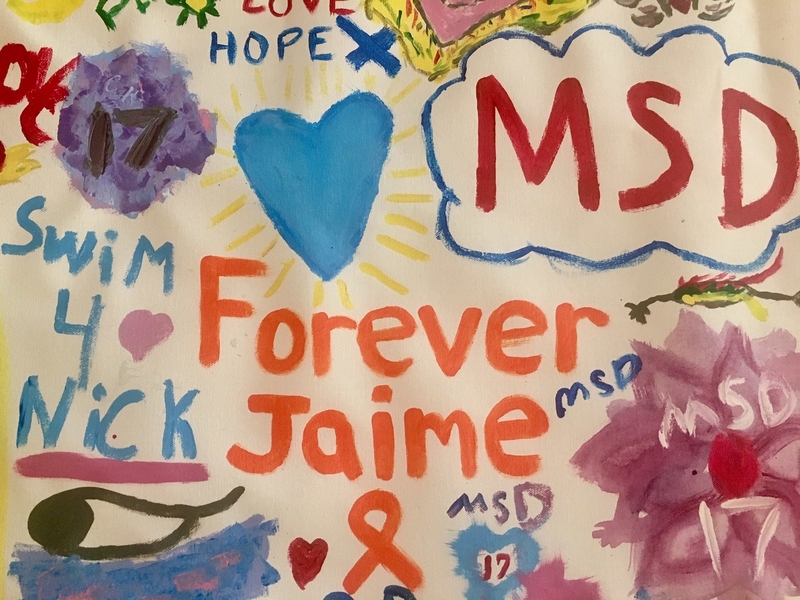 Drying on the floor was a student-made poster painted with messages such as “Forever Jaime” and “Swim 4 Nick” in honor of the shooting victims. On Monday night, elected officials, mental health professionals, and concerned locals gathered at Church by the Glades, a megachurch in nearby Coral Springs, to discuss suicide prevention. One parent introduced herself as the mother of a senior who’d been in the 1200 building, where the shooting happened. She was worried about her daughter, who had moved away for college after graduating in 2018. The woman said she knew her daughter went straight from class to her dorm every day and stayed inside on weekends. She said she refuses to see a therapist. The mother said she had taken herself to a therapist on Monday to show her daughter that it was OK to seek professional help. But her daughter is hours away, nowhere near the services in Parkland, and old enough to refuse medical treatment. Lacombe, the mental health counselor, suggested to the woman they undergo therapy as a family. Other mental health professionals at the meeting also recommended college campus therapy services for her daughter, specifically trauma-focused and trauma-trained therapists. The pastor of Church by the Glades, David Hughes, voiced concern about counting the recent suicides as part of the death toll from the original Parkland shooting, after several high-profile survivors and parents posted “17+2” and “19” on social media. The community holds up the victims of the mass shooting as heroes and Hughes told the crowd he was concerned that would “unintentionally romanticize” the suicide deaths. Lori Alhadeff — the mother of 14-year-old Alyssa Alhadeff, who was one of 17 people killed at Marjory Stoneman Douglas High School — in her home Jan. 30. On Wednesday morning, Arenberg Seltzer, the Children’s Services Council president, led a press conference at Eagles’ Haven. The wellness center, located in a busy strip mall in Parkland and funded by Arenberg Seltzer’s organization, opened earlier than its original April 30 launch date in response to the suicides. Although the center is currently barebones — no signage and little furniture, but plentiful coffee, cookies, and social workers on hand — it plans to offer activities such as yoga, kickboxing, and game nights. “We keep hearing from the teens: ‘Well, I’m not coming for therapy,’” said Julie Gordon, the Eagles’ Haven program director. “Eagles’ Haven is not a therapy center,” reads the poster in the front window. Instead, it’s designed as a one-stop shop for healing and wellness with social workers who can connect people to mental health professionals if they require, such as booking free home visits by trauma specialists or arranging alternative therapies such as tapping (using your own fingers to tap your body as a method of coping with anxiety) or equine-assisted therapy (aka horse therapy). “What we found is there was so much information, so many options, young people and parents didn’t know where to go,” said Arenberg Seltzer. A sign is displayed on a window at Eagles’ Haven, a new wellness center created for the Marjory Stoneman Douglas community, on March 27. Around 100 people came through the door of the wellness center in the first two days of opening. It’s also running programs for MSD teachers after being alerted that they were struggling with how to cope with coming back to school after news of the suicides. During the press conference introducing Eagles’ Haven on Wednesday, Gordon, the program director, pleaded with local news media in attendance to stop filming live shots outside Marjory Stoneman Douglas. Five parents had spoken to staff at the center about their fears of TV cameras being at their children’s school when they return Monday. Many students avoided school the week of the anniversary in order to limit triggers reminding them of the shooting, including the media presence. And while many in the community had been bracing for the anniversary, it also provided an opportunity for people to mourn and remember collectively. “A few months down the road [from the anniversary] is when you really need to ask and check in,” cautioned Billie Morgan, director for training and staff development at 2-1-1 Broward. “The wagons go on down the road as time goes on, and that’s when isolation can occur and the wheels fall off,” she added. Lacombe, the mental health counselor, also said that people can be most at risk of suicide just after the holiday season or an anniversary. “If someone thinks, I’m getting through this year and I’m hoping I’m going to feel better after this year, and that doesn’t change? Suicide is a result of hopelessness,” she explained. But grief and healing aren’t linear. Knowing the warning signs for suicide are important — even if they can be confusing for parents. A few months after the shooting, Alhadeff said she became concerned about one of her late daughter’s friends. She reached out and learned the friend was struggling.